NIR Roof Care, Inc.® > NIR Blog > Skylights need extra care! How can allowing warm natural light into a building space not be a great addition to a building space? Well, while tenants and occupant will typically welcome natural light, they are not always so enthusiastic about letting in other elements, such as water. And, any building owner or property manager who has dealt with skylights before will tell you that water somehow always makes its way into the building via a problem with a skylight. The truth is, there are a lot of pieces that make up the skylight and leave it vulnerable to water migration. Just like everything else up on the roof, it expands and contracts throughout the various thermal cycles. As a result, the lens cracks, the seal deteriorates and the materials break down, creating perfect spaces for water to make its way in. So, with the right information and proper maintenance, you can protect your building and your tenants by keeping the elements you don’t want in the building, out! Why do my skylights leak? Incorrect or improper installation – The skylight was installed incorrectly and water is leaking in from around the skylight, not through it. Broken acrylic skylight – The skylight is old and degraded from the sun and weather and has either spontaneously broken or something has penetrated it. 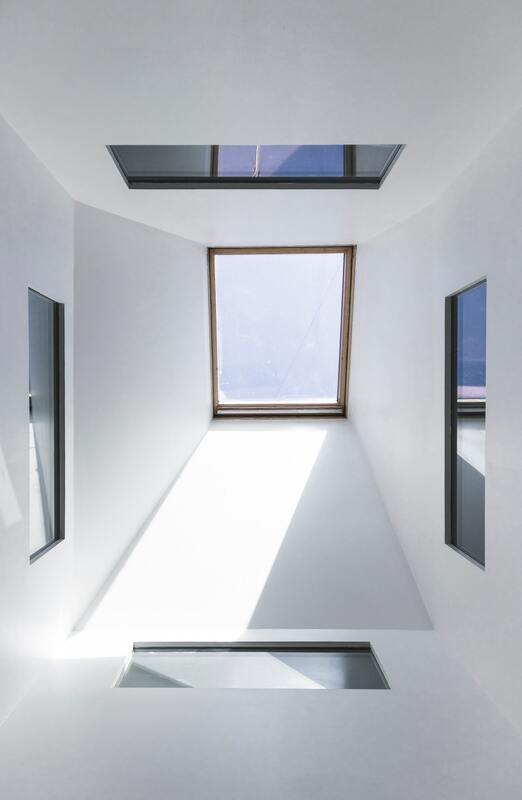 Problems also arise on acrylic skylights when someone applies sealer or caulk at the junction of the skylight and the frame, usually as a result of water coming in. This does not allow the skylight to expand or contract with changes in temperature, as it was designed to do. This will certainly shorten the lifespan of an acrylic skylight and make fracture inevitable! Acrylic skylights definitely have a lifespan; it may take 2-years, it may take 10, but at some point, it will break and need to be replaced. 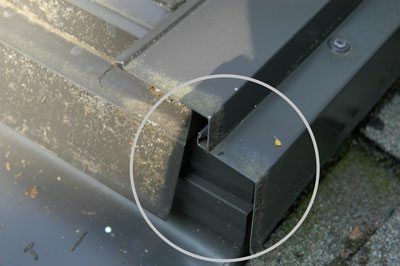 Roof Failure – There is a problem with the roof and water is finding its way through any openings in the roof and coming in around the skylight. What kind of skylights do I have? 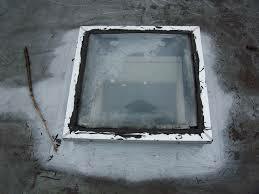 There are two (2) main types of skylight utilized: roof mounted and curb mounted. A deck mount skylight is attached directly to the roof deck. Deck mounted skylights combine a wood frame, the insulated glass panes and the aluminum cladding. A flashing kit is used to cover the seam and make the installation watertight. What are my skylights composed of? Here are the pieces that make up a traditional skylight. Each of these pieces work together but expand and contracts independently of one another. Glazing or Lens – Most commonly acrylic, polycarbonate or glass; can be single or multiple layers. Layers usually are sealed together and may be filled with inert gas for additional energy efficiency. Frame – The glazing is supported by a frame which is wood or aluminum. Cladding – Holds the lens to the frame. Curb – Used to elevate skylights up off the roof deck (plywood). Used on flat roofs or with certain roofing materials. Underlayment – Membrane or seal for between the roof deck and skylight or curb; usually rubber. Flashing – Applied over the underlayment and integrated with the roofing materials as the final barrier to the elements. Here are a few tips what to look for when your skylight is leaking.NOTE: Some skylights come with tempered glass while others are made of acrylic or plastic. Check the metal or aluminum frame that holds the glass or plastic in position for defects. Make certain the sealant that secures the glass in the frame is still good. Plain and simple; It’s just not that easy to pinpoint a leak on a skylight. It takes experience and the knowledge of all skylights to detect problems. The bottom line is there are a lot of components that make up a skylight even before it is installed onto your roof! Knowing with kind of skylights you have adopting a comprehensive roof care plan that INCLUDES skylights will save you a lot of time and money down the road. Let that light in, but keep that water out! Let us set up a NIR Roof Care Plan Inspection today!